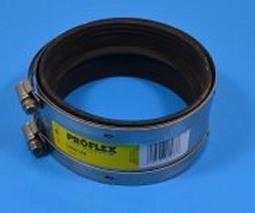 4" Flexible Proflex Rubber Fernco, aka Mission couple for Cast Iron to Plastic Pipe. Stainless band clamp on each end. Fernco.